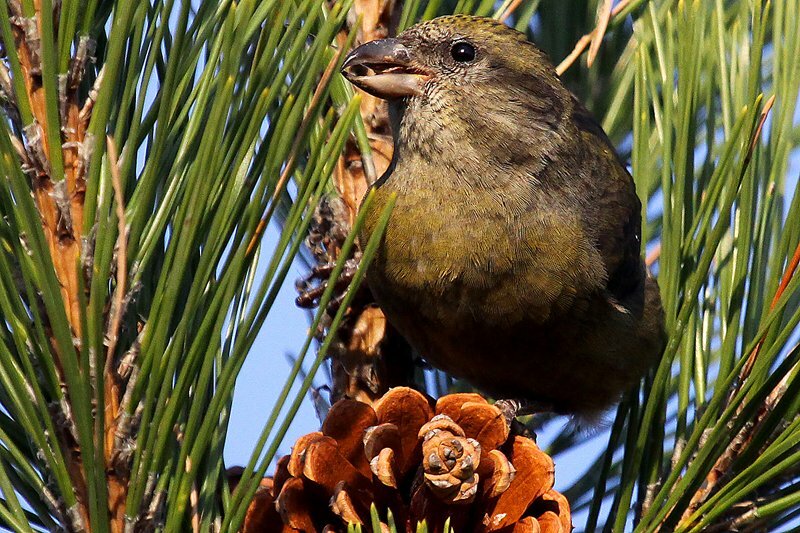 Red Crossbills are the more difficult of the two North American crossbills to find. At least, that is what anecdotal evidence tells me and nothing is more accurate than anecdotal evidence, right? Right. 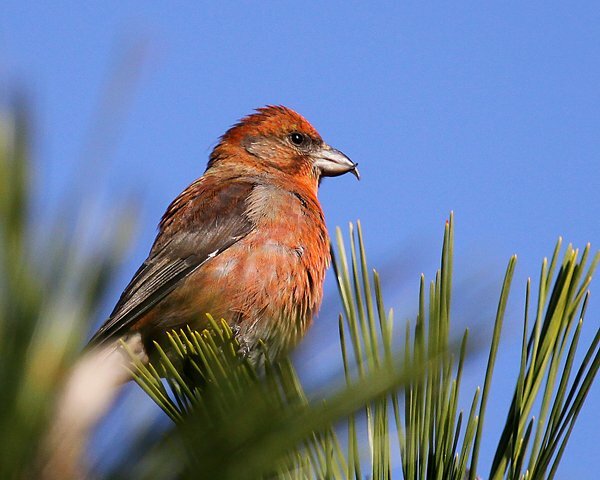 But, as was predicted, this has been a monster year for winter finches and good old Loxia curvirostra is no exception. They irrupted early this year but few were found along the coast of New York until the last week and then this weekend it seems like the floodgates opened up with birds reported from Hecksher State Park in Suffolk County, Jones Beach State Park in Nassau County, Greenwood Cemetery in Brooklyn, and Cemetery of the Resurrection in Staten Island, just to name a few locations. 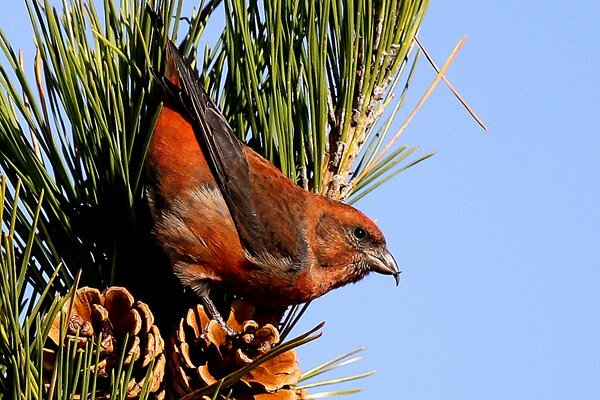 Birders were astounded, their mouths were agape, and the crossbills were a whole heck of a lot easier to photograph than most birds. 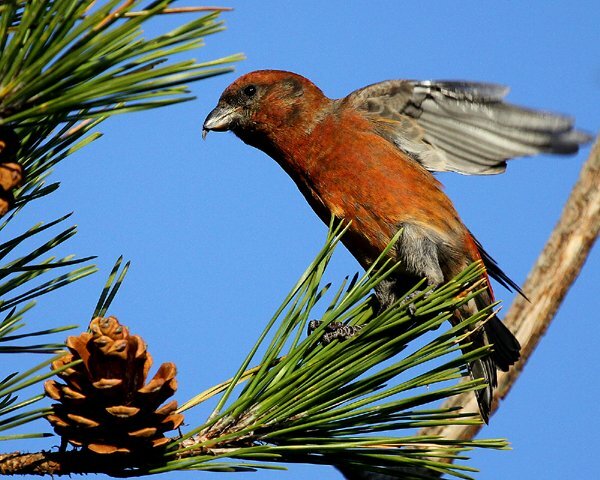 Red Crossbills were flying around, gyp-gyp-gyping overhead. 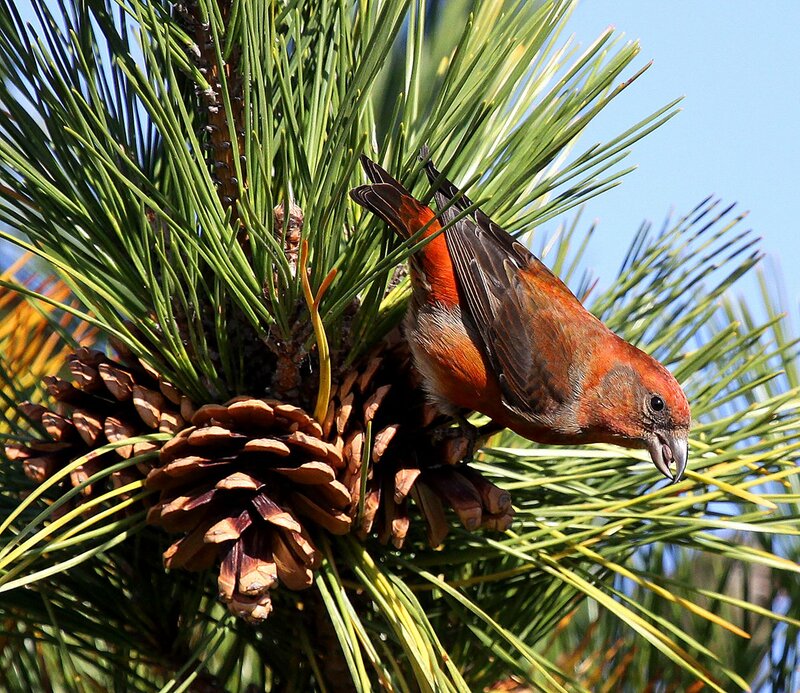 Red Crossbills were in the pines, cracking open cones. 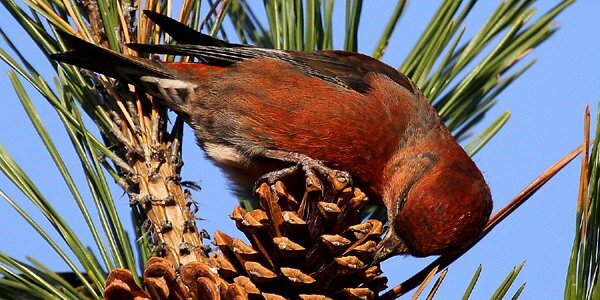 Red Crossbills were sitting in bare deciduous trees, looking like living decorations. 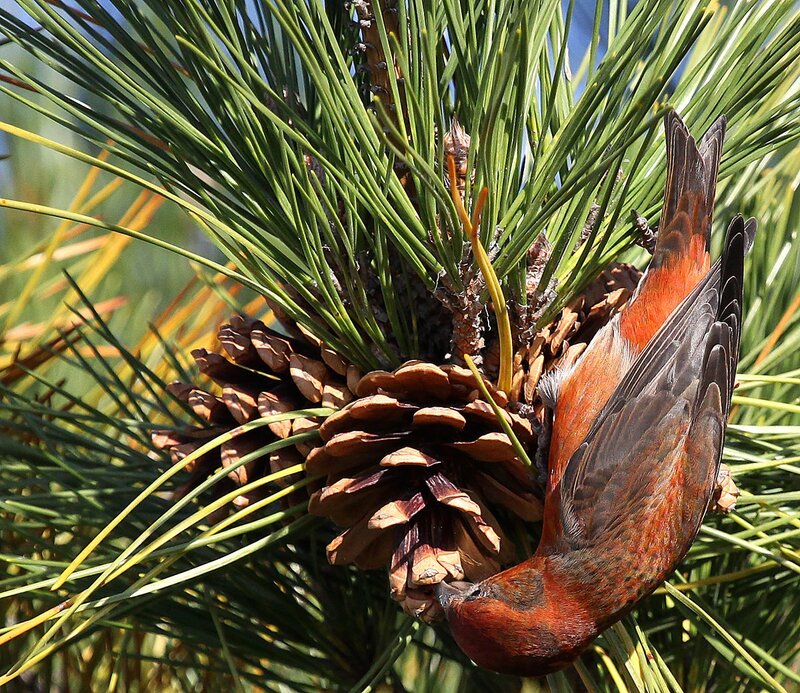 Forget about irruptions: it was a Red Crossbill invasion! 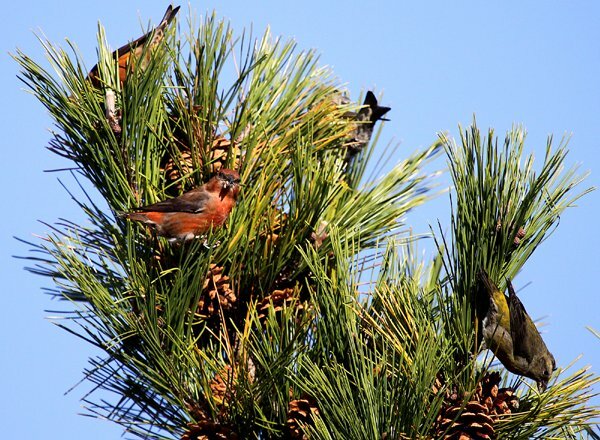 Estimates of the numbers of Red Crossbills varied quite a bit but the numbers didn’t really matter so much as the spectacle. It was hard to leave Jones Beach knowing how many birds there were to watch and photograph but each day I did eventually tear myself away to return home. It was difficult. There’s really not much else to say so I will let the photos speak for themselves. Enjoy! 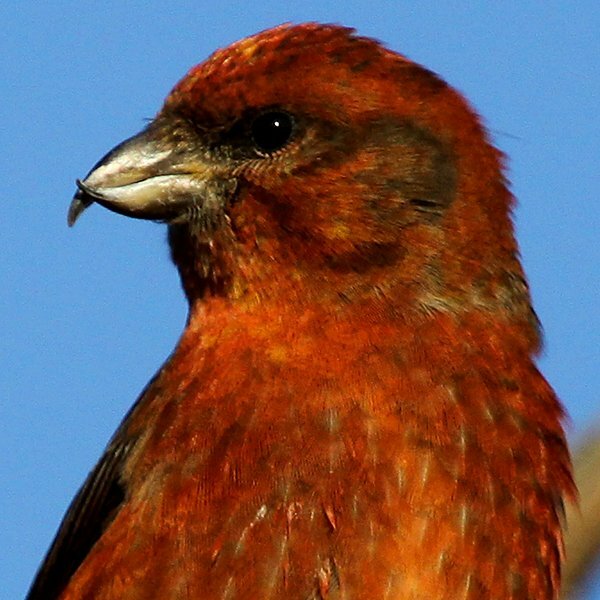 And, finally, just because I can, here is a male of each North American crossbill species. 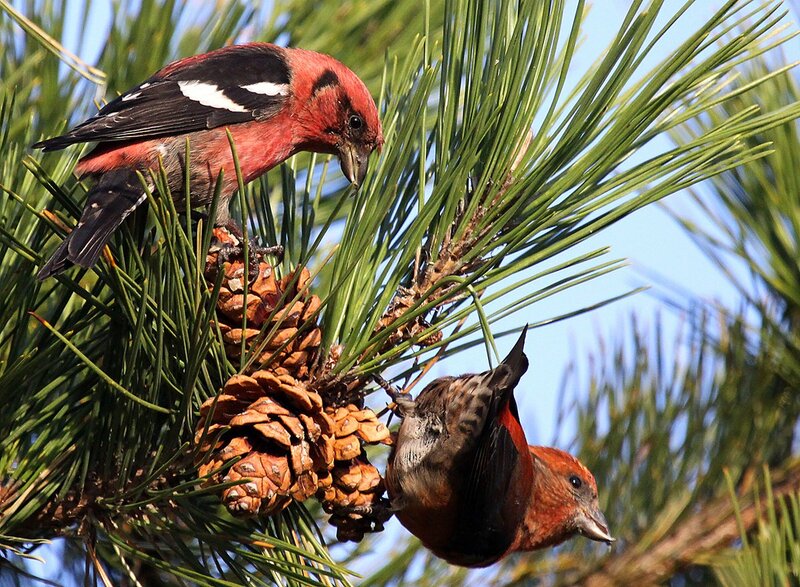 Yes, that’s right, a White-winged Crossbill and a Red Crossbill together! 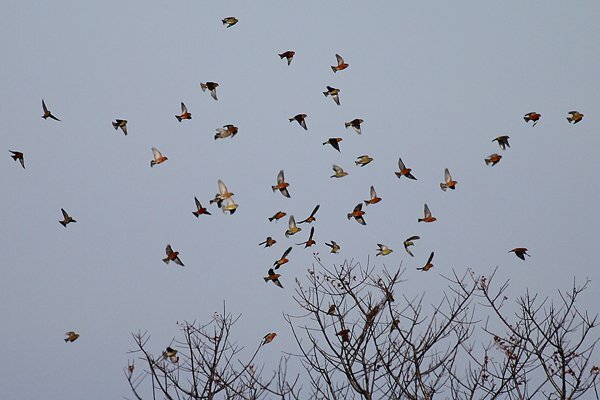 WOW – I need to keep an eye out for Reds mixed in with all the White-wings we’re getting in northern Wisconsin. I’m sure there are some around. @Jochen: But I liked it! @rebecca: They must be. Good luck!